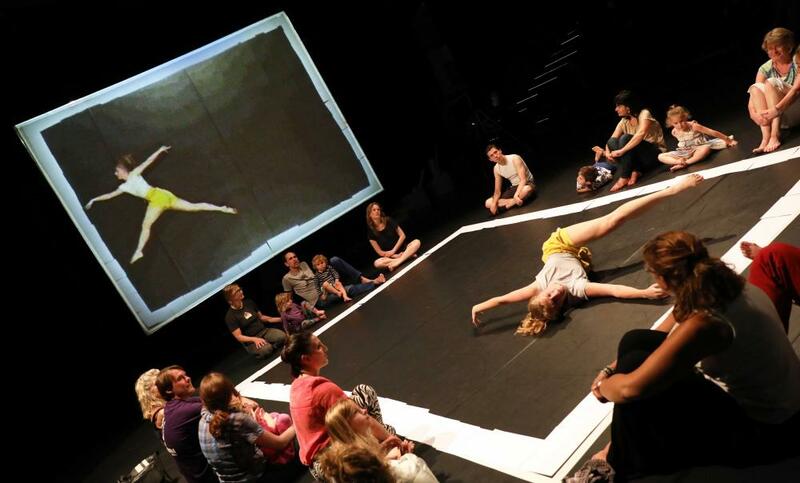 Up Side Down is an interactive performance which proposes to the young audience an involving and interactive experience of contemporary dance and visual arts. It invites children into a shared adventure, which they can spectate, activate and influence. A perceptual and kinesthetic journey constituted of a variety of stimuli, engendering first hand, direct experience which heightens awareness of perception as embodied and interdependent with its surroundings. The performance setting affirms the minimalistic aesthetics, endorses imagination and values the simplicity and inspiration found in the every day objects and actions. The project's priority is to enable frequent accessibility for children and therefore it will be produced in several countries, by partners who share this vision. Up Side Down aspires to challenge the concepts of performing arts for children and to promote the importance of artistic experiences in early years, in the context of both artistic and social experience. The project will be developed during several residency phases, consisted of creative processes and rehearsals, informed by the research and evaluations, including try-outs with participants of the targeted age. Within each of the residencies we will collaborate with the local dancers in order to create the performance. Residencies will be supported by: De Stilte (Breda, Holland) on January 4.-15; Arts Stations Foundation/Stary Browar Nowy Taniec (Poznan, Poland), on February 6.- 21; Station Service for Contemporary Dance and Youth Center Belgrade, (Belgrade, Serbia), on February 27. - March 6; Weld (Stockholm, Sweden) in November 2016 and De Stilte Festival (Breda, The Netherlands) in June 2017. Each of our partners will produce a local version of the performance and organize future presentations of the work.